From the opening of the site, Camping le Mas de la Treille offers you great water fun for the entire family, thanks to the heated pool and paddling pool. While children hurtle down the water slides or play at the paddling pool, their parents can enjoy the lovely climate of the Var, in the pool or reading a book on one of the sunbeds. The water park offers leisure and relaxation for the entire family. Holiday is the perfect time to recharge your batteries. During your stay in the Var at 4-star Camping le Mas de la Treille, relax in the balneo area of the pool. All through the season you can enjoy a ‘Zen’ moment at the whirlpool or Spa bath of the pool. The sunbeds set on the pool deck are ideal to take a nap, cradled by the sound of cicadas. You’ll definitely get home relaxed from your holiday in Cavalaire-sur-Mer. While parents relax at the balneo area of the pool at Camping le Mas de la Treille, children can play at the heated paddling pool. They can spend all of their afternoons playing on the water play equipment and slides. Bigger children will leave the paddling pool and will rather hurtle down the water slides for hours. 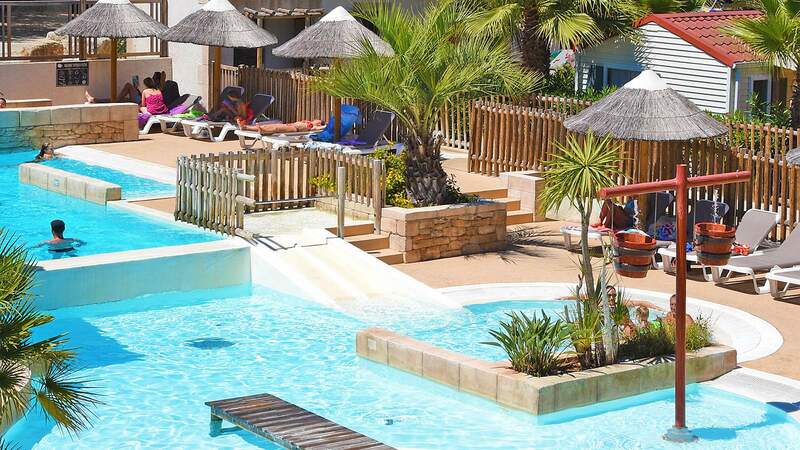 The water park of 4-star Camping le Mas de la Treille is a true delight for all ages.